Shopping for a used SUV in the Oakville-area? 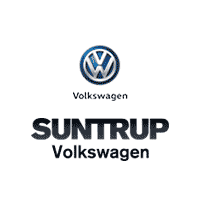 Browse the selection of used Volkswagen Tiguan models available at Suntrup Volkswagen. With the Tiguan, you can drive confidently on your commutes thanks to it’s excellent performance, safety features, and interior space. Find your perfect model below! To explore this model, or any of our used vehicles, stop by our Volkswagen dealership near Mehlville today! If you have any questions, feel free to contact us today!